Why Isn’t the Justice Department Pursuing a Real Criminal Investigation Into BP? agent-in-charge at the EPA’s Criminal Investigation Division. That’s because West believes there isn’t actually an investigation. “I won’t say [Holder] is a liar, but he’s certainly practicing deception,” West tells FastCompany.com. The investigation exists on paper–all the paperwork that goes along with filing an investigation has been completed—but nothing indicates that an actual investigation is underway. witnesses,” West says. No one has come forward to say they have been contacted or subpoenaed, and a grand jury hasn’t yet been impaneled for the investigation. This is a problem, according to West, because if an investigation does begin at a later date, witnesses’ memories of the spill may have already faded. And while the Justice Department has asked BP to preserve documents, there is no reason to believe that the oil company will comply. 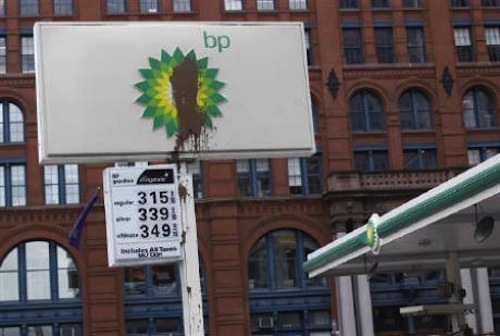 West has reason to distrust BP. In 2006, he investigated BP’s involvement in a burst oil pipeline in Alaska. Workers knew that the sludge-filled pipe would burst, West says, but BP ignored their pleas. So West helped launch a criminal investigation. He compiled a massive pile of evidence and a large witness list. “We began to see a pattern of corporate-level cost-cutting putting the bottom line ahead of worker safety and environmental concerns,” he says. But everything came crashing to a halt in August 2007, when BP pleaded guilty to a single misdemeanor account of negligence under the Clean Water Act. The company paid extensive fines, but West never had the chance to pursue the investigation to its logical conclusion. So why isn’t a criminal investigation being pursued? “Maybe [investigators] have been told some deep dark secret or maybe they’re just afraid of losing their jobs,” he says.